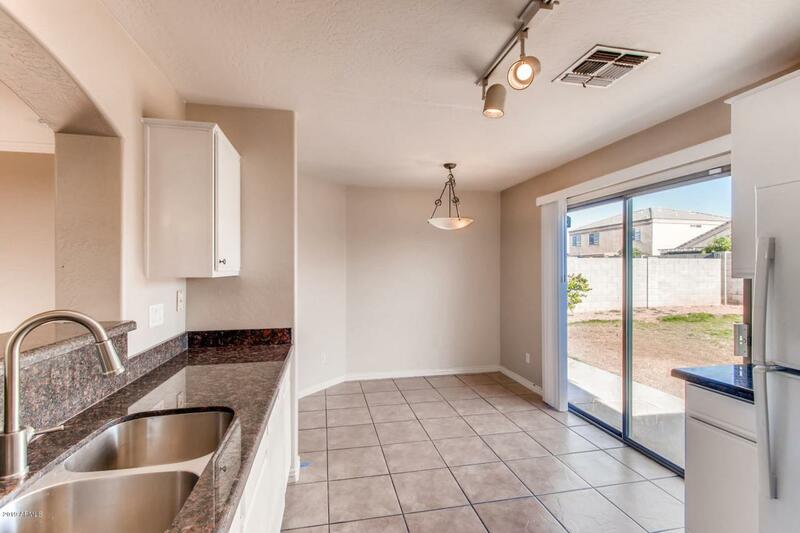 Beautiful 3 bed 2 bathroom home, Perfect front and backyard. 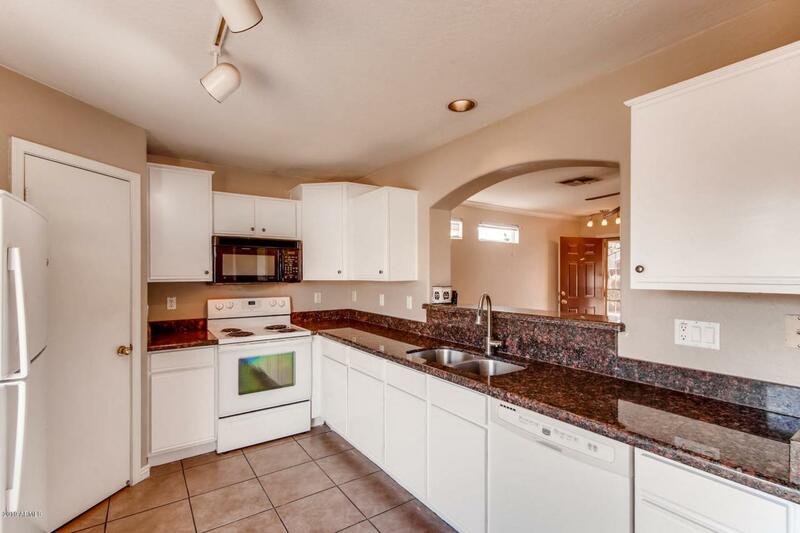 Granite kitchen with white cabinets and fridge included. Freshly painted living room, kitchen, and restrooms. 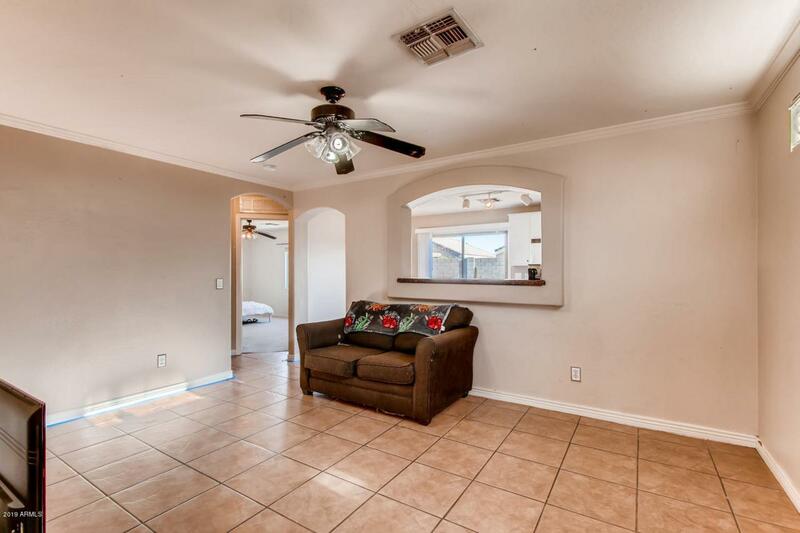 Tile floors, ceiling fans and window blinds. 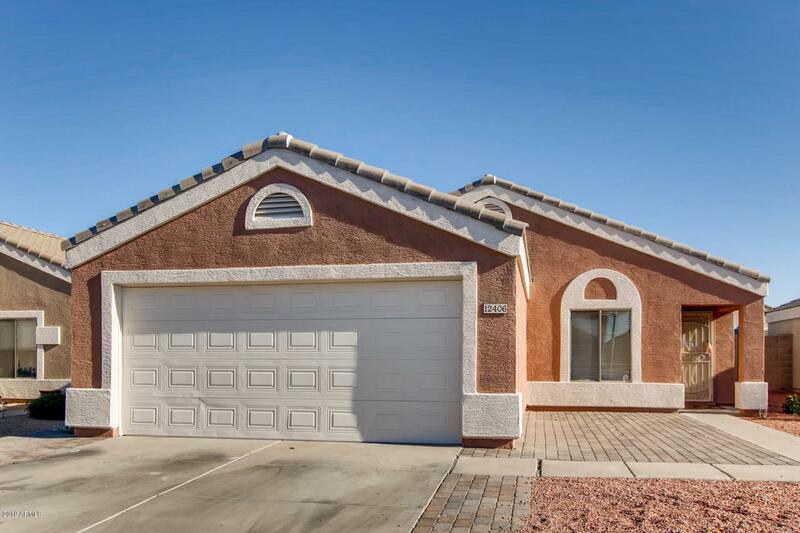 This home is close to shopping centers, dining, playgrounds, schools, transportation, jobs, and entertainment including spring training stadiums. A perfect place to call home. Investors also welcomed! Great area to buy and hold so you get a great return on your investment. Need to downsize? This home is clean and move in ready. NO HOA!!! No extra fees just a great price for an awesome home. Air conditioner works great. Master bedroom will be painted white by April 19th, but don't wait schedule your appointment today.